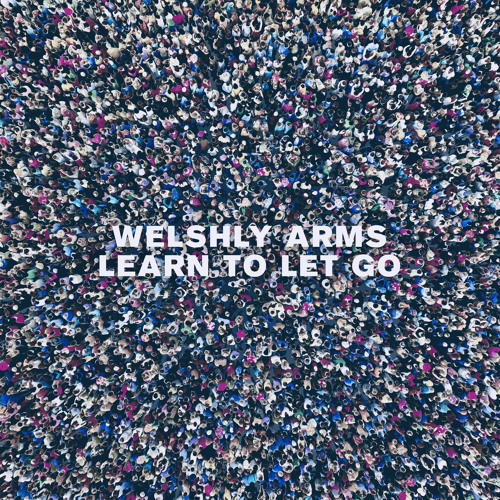 Cleveland six-piece Welshly Arms have just unveiled their brand new single Learn To Let Go and it is an anthemic and punchy piece of rock music. I am completely in love with frontman Sam Getz's powerful, raspy vocals that soar over the infectious melodies. When listening to the guitar riffs in the intro I immediately got summer vibes and the song is packed with so much energy that will get you all hyped to go on with your Monday. The delicate piano keys highlight the emotion of the lyrics and Sam's vocals that are perfectly backed by infectious melodies, packed with awesome drums and guitars. Learn To Let Go is a call to all of us that are stuck in the past and need to let go in order to move on. I am really enjoying how Sam's vocals are backed by Bri and Jon Bryant's vocals in the chorus which enhances the anthemic atmosphere of the song, making it a guaranteed summer hit. After listening to this song I am absolutely energised and motivated to stop dwelling on the past and just move forward. Learn To Let Go is definitely going to be a crowd pleaser and a highlight of their concerts. Stream it below! As an artist, it’s so easy to get stuck in mental quicksand and overthink everything. ‘Learn To Let Go’ is a reminder to get out of your own head and move on from the past, to open yourself up to the possibilities that might be right in front of you. The six members are Sam Getz (guitar, vocals), Brett Lindemann (keys), Jimmy Weaver (bass), Mikey Gould (drums), and Bri and Jon Bryant (backing vocals).